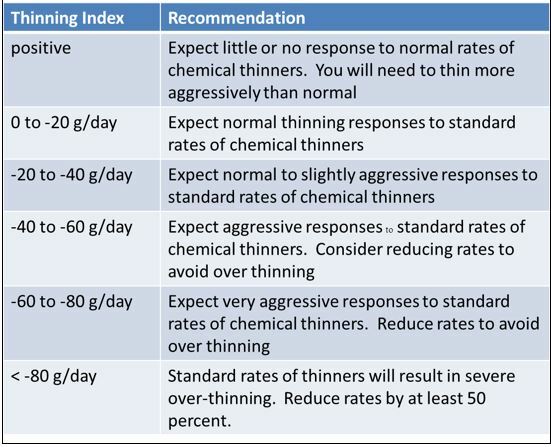 The effects of chemical thinner applications that occurred ~2 weeks ago are apparent. A clear separation in fruit size and/or fruit drop should be visible. Some growers have applied rescue thinners in blocks with excessive crop loads. With inclement weather expected over the next few days, many sprayers will remain parked in the shed. The weather forecast suggests moderate temperatures and heavy cloud cover (>80%) for the next 3 to 5 days. Cloudy weather will result in a low carbon balance within the tree due to reduced photosynthesis. 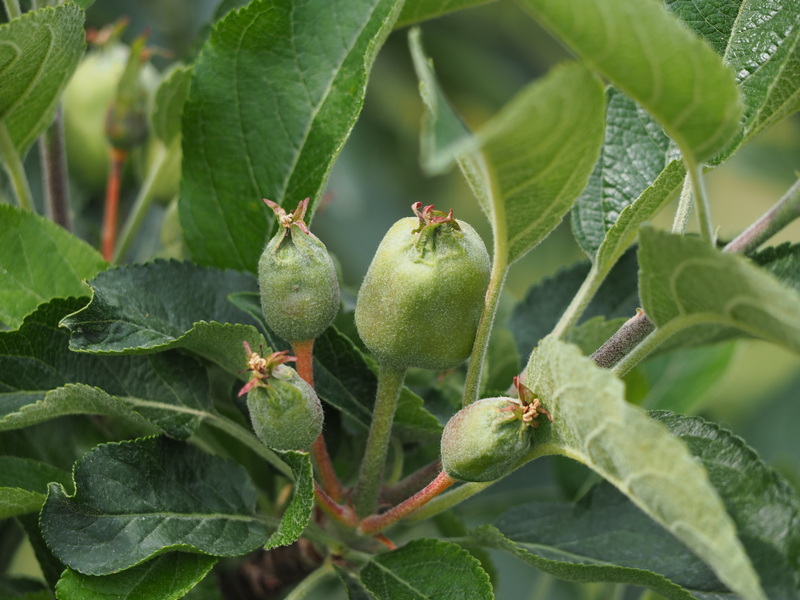 Several researchers demonstrated that consecutive days of heavy cloud cover (2 to 3 days) during the fruit thinning window can cause natural fruit drop in apple. Perhaps, it is good that sprayers will be parked in the shed? Date Max Temp Min Temp Solar Rad Tree Carbohydrate Status (g/day) Thinning Rec.